The CPEC200 monitors atmosphere-biosphere exchanges of carbon dioxide, momentum, water vapor, and heat. 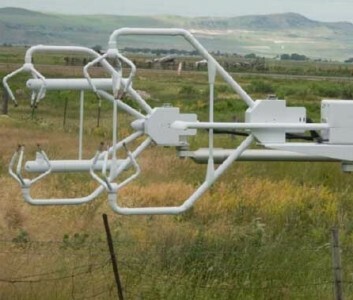 The CSAT3B is a three-dimensional sonic anemometer and an update and replacement to the original CSAT3. EasyFluxTM-DL ("DL" for datalogger) is a free CRBasic program that enables a CR3000 datalogger to report fully-corrected fluxes of CO2, latent heat (H2O), sensible heat, and momentum from a Campbell Scientific open-path eddy-covariance (EC) system. The KH20 is a highly sensitive hygrometer designed for measurement of rapid fluctuations in atmospheric water vapor. Average soil temperature across 4 x thermocouples. Typically used in heat flux studies.